WASHINGTON—Expressing surprise and sadness at Attorney General Jeff Sessions’ repeated denials of contact with Russian officials during the 2016 presidential campaign, heartbroken Ambassador Sergey Kislyak told reporters Thursday that he thought his special meetings with the then–Alabama senator were actually very memorable. “To be honest, our two conversations hold great significance for me, and I can’t help but be upset to learn that Jeff felt otherwise,” said the tearful Russian diplomat, adding that he simply could not believe that Sessions could so nonchalantly dismiss the many hours they spent discussing the intimate details of their lives, including their innermost hopes and fears for their respective countries. “It really hurts to think that Jeff doesn’t cherish the afternoons we spent sitting in his office exchanging information about everything under the sun. These were some of the most meaningful discussions of my life, and Jeff’s writing them off like they didn’t even happen. 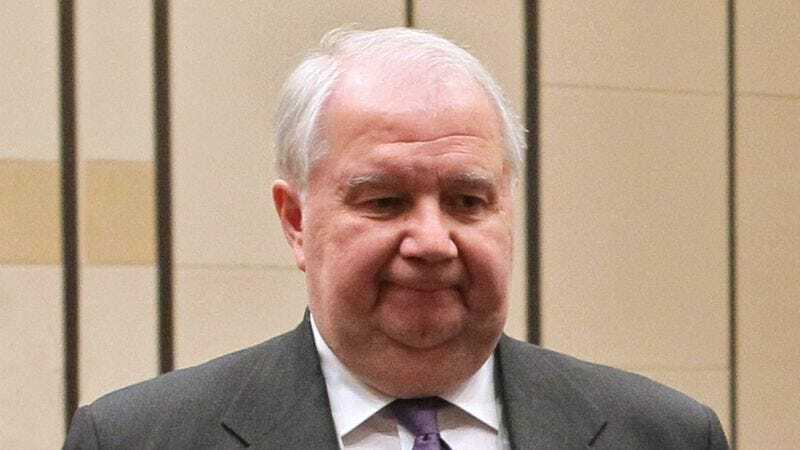 How could he be so cruel?” Kislyak went on to say that even his subsequent communications with former National Security Advisor Michael Flynn never for a moment made him forget the precious time he and Sessions spent together.